The Bearded Collie should be considered a sociable breed, they do not like to be left alone and form a strong attachment to their family, being excellent with children. They've been used to search for truffles due to their refined sense of smell. An easy-going, well-balanced breed. 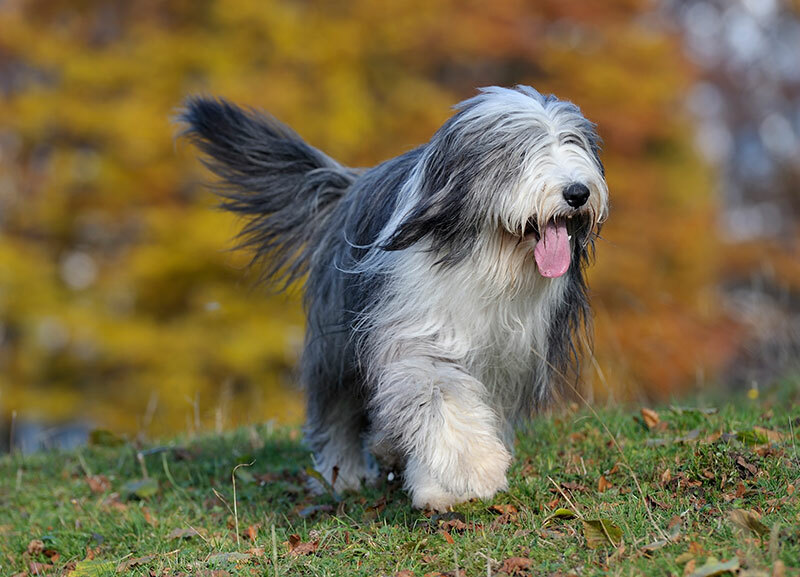 The Bearded Collie will bond well with the family although they will require firm training as they retain an independent streak throughout their life. The Beardie will be a happy member of the family but do be aware that despite their regular barking they don't make particularly good guard dogs. Beardies generally do not respond well to negative training methods. Gentle encouragement and positive reinforcement will make them much more amenable to training.